Triple Chocolate Cheesecake is rated 4.5 out of 5 by 2. Rated 4 out of 5 by Anaamika from Delicious! Wonderful service. The cake was so rich and creamy. Rated 5 out of 5 by New York from Awesome The cheesecake was very rich and terrific,thanks fo a great product. This decadent dessert is perfect for any chocolate lover. Our Triple Chocolate Cheesecake is decked out with the ultimate chocolate taste. 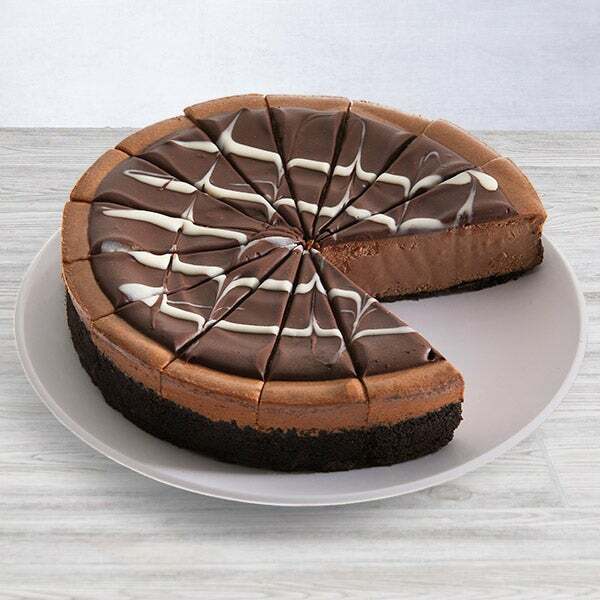 Baked into a delicious cookie crust, our award-winning, luxurious chocolate cheesecake is topped with a rich satin chocolate glaze, creating the a divine chocolate dessert.